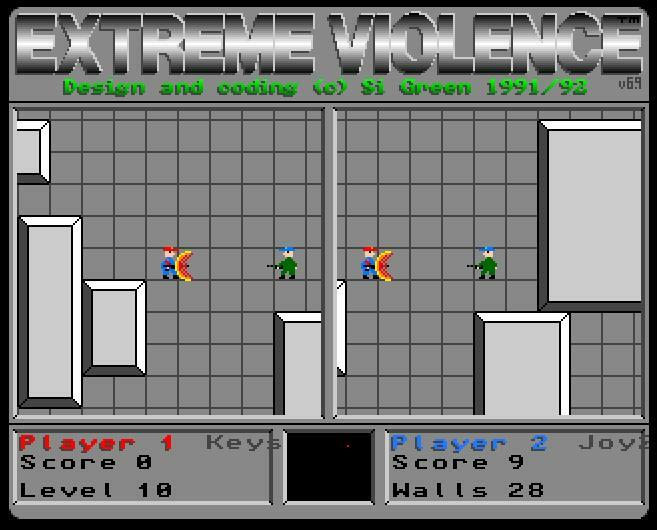 Extreme Violence is a 2 player combat game written in AMOS (Amiga version of BASIC) and originally released in 1991, although I expect most gamers got their copy free with Amiga Power (Issue 24, April 1993 p. 34-35) cover disk 24. 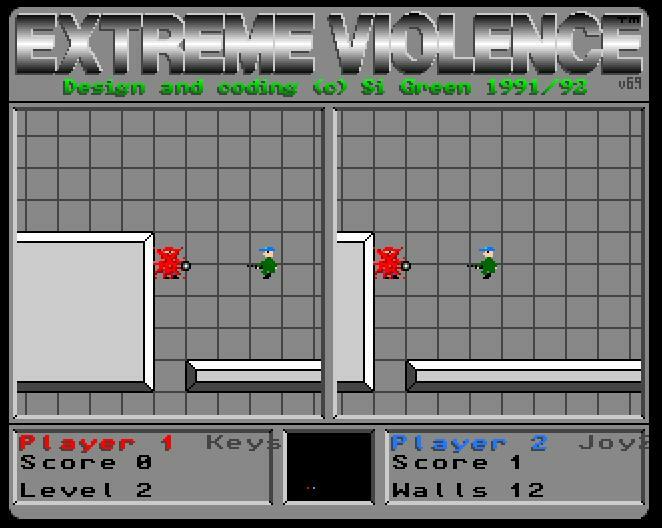 The game was coded and developed by Simon Green. Battle takes place in a maze/arena with the screen split down the middle and both players are placed far enough away that there is at least a few seconds before someone is killed. The object of the game is basically “shoot first, sod the questions”. Its kill or be killed and the first to 10, tracked by the score counter at the bottom of the screen, is declared the winner! 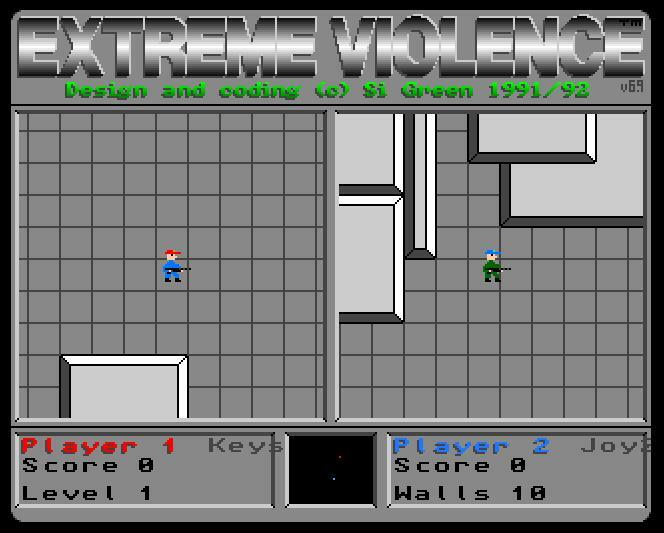 Extreme Violence is a game I first played at a mate’s house on his Amiga and one I’ve wanted to play again since then. Finally, having discovered the cover disk again I had the opportunity to revisit this on my Amiga, and I still love it. After roping in a willing volunteer to play a few rounds that old feeling of anticipation and excitement came flooding back as you run like the clappers around the map hoping you find the weapon or power up first. This all leads to the final battle, which, given the players have no health bar, is over pretty quickly. A brilliant and fun game, the simple graphics do not matter in the heat of the battle. 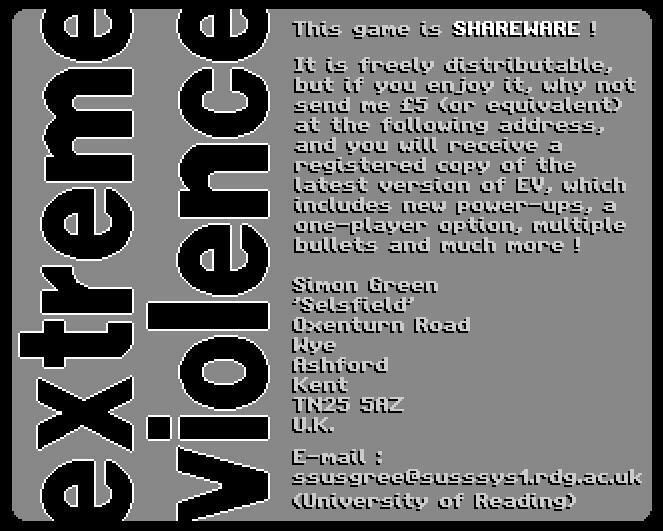 Extreme Violence is a game you can just switch off to and happily play for a couple of hours. This was a great game considering how simple it was. Definitely one my few old Amiga favorites that truly aged well enough to enjoy as much today as I did back then! Pretty cool to see the legit disk with this game on it, though. 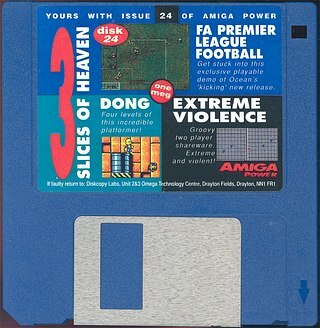 Mine was just a copy like 90% of my other Amiga games. This game was ace, I remember my stepdad bringing this home, we wasted so many hours on it an loved every minute. Bouncy bullets rule! One of the funnest games I remember playing with a friend, shame there was never a retail release as far as I know. I used to play this with my friend Dave and, without trying to sound bigheaded, I would beat him at this 99% of the time. I was the E.V. master.